There are (very) good reasons for intellectual copyright laws to exist, to protect the original creators of something so that they can benefit from them and protect their work against unscrupulous misuse by other parties. But it strikes me as completely against the spirit of such laws that they are invoked even when something is done in complete affection and is, in a sense, a reflection only of the universal adoption of something as part of our cultural heritage. The Rodgers and Hammerstein estate — originally controlled directly by their heirs but now owned by a third-party global independent music publishing company called Imagem, owned by a Dutch pensions company — has a lot of valuable ‘properties’ in the shape of the rich legacy of musicals that Rodgers and Hammerstein left behind, still among the most performed musicals in the world (there’s currently a stunning revival of The King and I playing on Broadway). But some of the songs that have come from those shows are now part of the popular catalogue, and we all own them, to some extent or other. I don’t think the Rodgers and Hammerstein estate has ever tried to levy a royalty charge against football fans for chanting We’ll Never Walk Alone from the Liverpool stands – it would be unenforceable (who would they go after?) and besides, it only seems to have increased the value of Carousel, the show it is taken from, that it is beloved in this way. Surely The Great British Bake Off is hardly misusing it. The rights holders need to protect their cash cow, but a gentle tribute like this is actually endorsing it, not undermining its popularity. Sometimes a rights holder needs to be bigger than the apparent infringement. 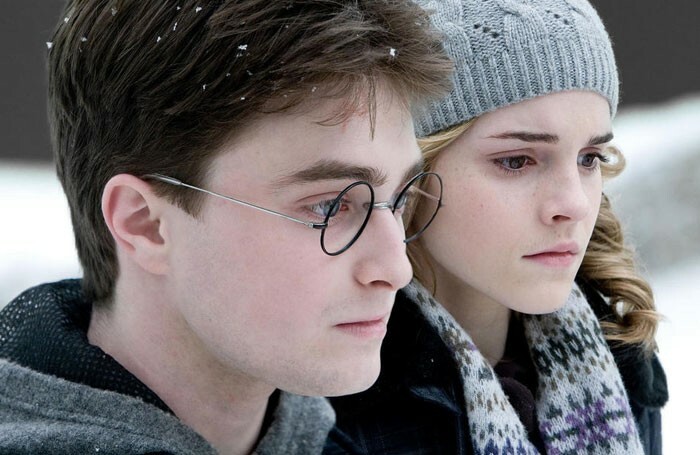 JK Rowling, for instance, never went after the two young actors behind Potted Potter — a reduced version of all the Harry Potter books, knowing that — however popular their work was (and it even got a West End season and another Off-Broadway) — it was always going to be small potatoes. She’s biding her time for the bigger riches of her own West End version of Potter (Harry Potter and the Cursed Child) that’s been announced for the Palace Theatre next year instead.